It’s been an interesting week at Mad Haven (aka the kitchen in my apartment). One beer turned out amazingly well. One is.. scary. We weren’t able to stick to the schedule I mentioned a few weeks ago. Surprise surprise. But we did brew a lot. It just won’t all be ready this week. Various people have suggested various things about this batch. My plan is to fill 6 bottles and try them in a few weeks, and then let the rest of it age for a few months. Unless someone reading this is a microbiologist and can see something deadly in there. Before I saw this interesting infection, Kell and I had tried some off the spigot. And it was absolutely delicious. So, we’ll see what happens. In other news, Beer Week is upon us. Let me know if you’re in Denver this week! Black something. I have no idea what style or ingredients or whatever are in it. Roulette beer! Bet on black! Maybe even more of the blonde. I’ve been drinking a lot of it..
I’ve been meeting a bunch of awesome beer geeks, future beer geeks, other awesome people, and it’s been wonderful. I love having beer on hand to share. Makes the world go round. In other news, I just wrote a big article on my other blog about other things around town during GABF. For those coming to town, or contemplating it, I hope it’s a good resource. I’m copying and pasting it. Enjoy! According to the GABF countdown clock at Falling Rock, there’s about 22 days until the start of the Great American Beer Festival. Could be a little more or a little less. Counting is hard. The festival is sold out, but there are always tickets for sale on Craigslist and other such sites. But whether you got tickets or not, Denver has a lot of beer to offer outside the hallowed – scratch that – beer-drenched hall that is the Festival. Why, just within a few miles of the Convention Center, there are more than a dozen beer-centric establishments. Before I get into what those are, I want to impress upon you that Denver does in fact have more to offer than just great beer. We have whiskey too! This town is wonderful, and I implore you to explore it, should you find the time and the sobriety. Our local Yelpers are fantastic, so trust that site if you need a quick lookup. Grab a reindeer or wild boar hot dog, see a show or a show or a show, grab a book, or maybe even take a hike. And if you like dive bars – and I love dive bars – we have a few of those too. But, in the end, you’re here for the beer. So let’s get to that. I made a map on Google maps of about 15 beer places within 2-3 miles of the Convention Center. There are hundreds, if not thousands of them within 100 miles of downtown, so I decided to stick to walk-able and bike-ride-able from downtown. If you want a more complete map of the region, check outbeermapping.com. Oh, and speaking of bicycles, we have an awesome bike rental program too. In no particular order, here are the establishments I’ve pinned on the map. If you know of another I should add, please let me know. Click on the map for addresses, directions, etc. 75 taps, 120 bottles, events every day, this is generally a good place to be. Full writeup. It’s no secret I love this place. I think I mention them in every single article I write. Do yourself a favor and go there. Brand new spot in town, tons of awesome beer and food. My friend Ryan is pimping out their tap list. New location right downtown. 36 beers on tap, from the cold yellow fizzy to the crazy Belgians nom noms. They just got started a few months ago and are rocking out. Go try their brews and support new micros. Old dive turned into new dive with craft beer and liquors. You didn’t have a good time if you didn’t stop here. One of the biggest production breweries around here, and right next to Coors Field to boot! Tons of Belgian awesomeness on tap and in bottles, plus great food. Try the mussels! Full writeup. Part of the Mountain Sun family, this place is one of the coolest spots in Denver. Great beer and guest taps too. Funky little bar with a coffee shop attached. Right next to Vine Street. I go here a bit too often. Amazing beer, liquor, food, and people. Full writeup. I told the bartender I liked scotch, whiskey, and new things, and he made me a pre-prohibition style Old Fashioned. Amazing. Started by our current mayor in 1988 and still rocking right downtown. Yet another new beer place in Denver. Tons of good stuff now, brewing their own soon. Largest single malt scotch collection in.. America? At least this side of the Mississippi. They brew there as well. Full writeup. Bobby Orr celebrating with The Stanley Cup. Looks delicious. 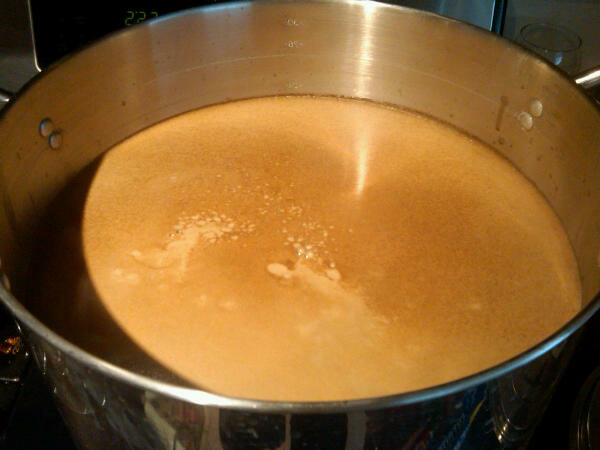 Here at [No Name Yet] Brewing, we like a good beer. In fact, we like lots of good beer. We hope that we don’t come off as beer snobs ever. If anything, we prefer the accepted vernacular “beer geeks”. We think everyone has the right to enjoy their beer how they see fit; there is no right or wrong way. Some other people might say you have to drink a beer out of the proper glass in order to enjoy it. Well, I think there are some exceptions. For instance, how about drinking delicious beer out of the greatest trophy in all of sports (IMHO), the Stanley Cup. Or maybe, in a time honored tradition of “shooting the boot”, a rugby boot is the only option. Sipped from a timeless treasure while celebrating a victory or chugged from a sweaty rugby boot, salty aftertaste and all, these drinkers are enjoying their beer, regardless of the lack of a “proper” drinking apparatus. If you have any creative examples of beer drinking methods let us know. We are kind of partial to “Gelande Quaffing,” but are open to most methods of consumption. 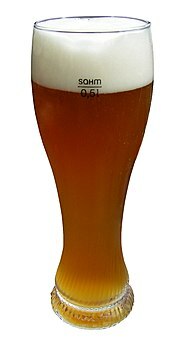 The snobs connoisseurs, however, certainly do know how to bring out the characteristics of a beer with the proper glass. Feel free to correct me if I am wrong in my analysis of the glasses below. Nice and refreshing on a spring day. Oh wait, it's snowing on April 1, 2009 in Colorado. We have saved the best for last, and that would be the rugged taster from the Great American Beer Festival. The miniature Weizen glass, made out of Lexan is the perfect solution for sampling the 1800 beers from over 400 breweries during the annual celebration in Denver, CO. With a 1-ounce sample it would be 150 12-ounce beers to try each one! This little guy makes the perfect vessel for any beer, delivering everything your heart desires. Put a reminder on your calendar today for September 24-26, 2009!